Dear Michelle, The photographs you took of my new Azerai in Luang Prabang are more than beautiful. Thank you for investing your time and talent to make me proud. All the best. Adrian Zecha, Founder of Aman and Azerai Hotels, Singapore. We did a photo shoot recently in PGA Catalunya Resort and chose Michelle and her team to shoot our new La Vida hotel because of her style and professionalism most of all. We were launching a new hotel concept and needed the photos to speak the simplicity and elegance of the hotel. Her style is impeccable and she finds the best opportunities and angles. She understands and grasps the clients desired outcome and concept immediately and works as part of the team for best solution. I very much liked how communicative and open they were during the whole photo shoot. Very much recommend working with Michelle. The pictures are great! We are really happy with them and are convinced they are going to be a great help in selling more rooms. Thanks again for all your team’s efforts, it has been very worthwhile. Over the last 20 years I have worked with Michelle on different hotel projects and have been delighted with the images that she and the team create. She captures the essence of spaces and discovers details that bring the hotel story to life. She leads a truly professional team who work hard to get the best possible results. Throughout the whole process from understanding your needs to producing the final photo Michelle and the team work together with you ensuring that you get the photos you dreamed of and that logistics and practical details run as smoothly as possible. Highly recommended! Rosemary Trigg , Director of Marketing and Communication, Fairmont Rey Juan Carlos I, Barcelona. Saurabh Rai, Executive Vice President at Preferred Hotels & Resorts, United States. Michelle is unique. She is an amazing photographer, a perfectionist and an incredibly intelligent and talented woman. Her dedication to quality and attention to detail make everything she touches a genuine work of art. I would most definitely recommend Michelle for any project that focusses on quality. You won’t be disappointed! Brenda Padilla Ericksen, Cross-cultural Consultant at Cultural Intelligence Spain, Malaga, Spain. We loved the photos that Michelle and Hotel Essence produced. Her attention to detail and lighting created an exquisite image that takes the viewer beyond a picture of a bed and into a vacation state-of-mind. They are the perfect pieces to help us tell our story in our collateral and online endeavors. We wish we had more. Sara Brooks, General Manager at the Napa River Inn, California, United States. Dear Michelle. It was such a pleasure working with you at the Alvear Palace Hotel. I really enjoyed our very long shooting days. Your professionalism and cheerful attitude gave us a great result. We are very happy with your work and our Marketing team and our guests, just love your pictures! Dear Michelle, I am speechless – this picture of Rajvillas is amazing, magical and even this does not fully describe how incredible it is. Thank you so, so….much. My very dear Michelle, I can’t find the words to express to you my gratitude for RE-discovering my hotel, I fell in love with your pictures : quelle sensibilité !!! Thank you Michelle for all the mind blowing photos that you took of our hotels and the surrounding fauna and flora. It was an absolute pleasure meeting and work with you! I hope that we will be able to work together again soon, as your photography is simply among the best I have ever seen. I would definitely recommend your work to all my fellow marketing colleagues. Thank you very much, Michelle for the beautiful pictures you took of our hotel facilities and even more importantly thank you for the wonderful shots of our colleagues in their work environment. I think you are tremendously talented. We all love the shots. Michelle, thank you so much for the amazing job that you have made of our photography. You and your team were outstanding throughout the process and worked with our hotel team to show The Wellesley in the very best light. Your attention to detail was fantastic and nothing was too much trouble – your team did what was needed in order to get the job done. Thanks again and we look forward to working with you in the future. Dear Michelle, I am in awe of all these night shot photos. They are all superb and so are the experience and the lifestyle shots. Thanks so much I am so happy. Anshul Kaul G.M. Oberoi Rajvilas, Jaipur, India. Olivier Thomas, Hotel Manager, Four Seasons Hotel, Prague. José Arenas, Aura Manager, ME Hotel Madrid, Spain. Initially I didn’t see photography as an investment, its seemed so intangible to me. One year on after opening, I realise that the photos created by Michelle Chaplow and her team have been published so many times, providing us with great media coverage. The photography has sold the hotel and helped us to create a strong brand image. Darío Doblas, Proprietor, Hotel Palacio de Carvajal-Girón, Plasencia Spain. Michelle Chaplow captured beautifully memorable, detail-oriented images of The Fairmont San Francisco. It is evident in her photos that she has an outstanding ability to recognize what is unique and special about her surroundings. Staff throughout the hotel thoroughly enjoyed meeting Ms. Chaplow and were delighted to see the exquisite results of her efforts. She was an absolute pleasure to work with! Melissa Farrar, Public Relations Manager, The Fairmont San Francisco. Our famous hotels all have a history. Our archives deal with this subject. But these hotels also have a present, and Michelle Chaplow captures it with an unfailing eye for detail. She has shot various images for different hotels from our collection, many of these shots have become famous for their special touch. Andreas Augustin, President / The Most Famous Hotels in the World. José Lumbreras Fernández de Córdoba, Director de Marketing Finca Cortesin, Andalucia, Spain. It is a pleasure working with Michelle; a true professional with superb instincts for the perfect shot. Her skill in bringing alive imagery which fully conveys the sense of the space is inherent in her work. The team thoroughly enjoyed interacting with Michelle for the duration of the photoshoot. Paul Jones, General Manager Mandarin Oriental Singapore. The unique property of Hotel Essence photography is that Michelle knows the hotel world and she can see our establishment form the point of view of both an artist and a client. There are millions of hotel images and in the hotel sector we are trying to promote a hotel night, something that is available world wide. Hotel Essence Photography concentrated on the Essence of our hotel and we have reaped the rewards. 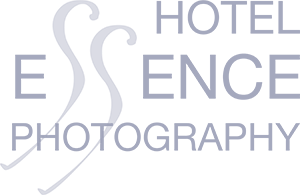 Hotel Essence Photography made an immense difference to my hotel marketing, on the very day we launched our site with new images we received two hotel bookings. Michael Whaley, Hotel Proprietor Hotel El Aguilon, Tarifa, Spain. Michelle is always a pleasure to deal with. I used her beautiful travel images of Andalusia while I was Travel Picture Editor at the Daily Telegraph for nearly a decade. Michelle’s pictures also made their way into our glossy mag – UltraTravel. Her luxury hotel pictures have a human element that is rare in PR shots. She has the kind of personal charm that makes all the difference…She doesn’t “take” photos, – she builds a rapport with her subjects and and creates photographic moments. You’ll enjoy getting to know Michelle. Michelle was my principal photographic contributor for the British Airways in-flight magazine Mediterranean Life for over 10 years. She successfully carried out editorial and travel assignments in various European Countries. Her photography is superb and has been the subject of coffee table books particularly of Spain. International five star hotels use her for their promotional photography. The US Library of Congress is a client. I would not hesitate to recommend her work. Michelle is a highly experienced photographer who truly understands her subject in Spain. She is easy going, down to earth and really listens to the client, suggesting practical ideas to balance the more ephemeral creative process so that none of us get too carried away!